In 2000 I had the good fortune to meet a girl from Indonesia who had talked her new husband into forgoing her dowry the year before so they could use the money to vaccinate the children in her village. She said that while the money would have been useful to them, it was more useful for the village to have their children grow up. The dowry money would cover vaccinations for all the children in the village until they turn 18 plus fund vaccinations for new mothers. Most of those children would be grown up now and I wish I had kept in touch with her to find out how it all went. And also to ask her what she thinks of the fact that there is a movement of people that deliberately don't vaccinate their children in Australia even though it's free. I am willing to paraphrase the answer I think she'd give me. In the meantime, I think it fair to say that at 19 that girl was twice the woman I'll ever be. This is Yash. He is four. 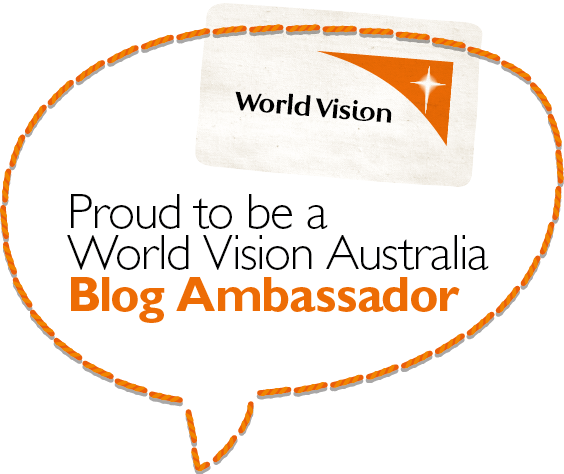 He and his community are sponsored by World Vision which is why I have heard about him. He is hanging out with his mum Shweta after getting some of his vaccinations because his mum doesn't want him to die or end up with a permanent disability. Do you know why? Because vaccinations save lives. People in first world countries like Australia who don't vaccinate their children suffer from a first world arrogance that the information they have gathered on the internet makes them more of an authority than all of science. I can't get my head around why people think that vaccinations are going to kill kids. The stats are in and of the 700 children that died in NSW alone in 2013, none of them died from being vaccinated. Some died as a result of not being vaccinated and some from car accidents and some from drownings and a whole lot for other reasons like suicide and cancer and abuse. But anti-vaxxers still put their kids in cars even though that is statistically proven to kill more children than vaccinations world wide. And anti-vaxxers still buy clothes from retailers who use child labour which is statistically proven to kill more children each year than vaccinations. And anti-vaxxers still use the internet which is statistically proven... nah, now I'm just messing with you. So it can't be the fact that they are supposedly dangerous or kill people. Because then they would apply that logic to all of their decision making. The breathtaking arrogance of choosing not to vaccinate when 3/4 of the world would do anything they could to have your privilege is something I truly don't understand. I have tried. But the more I read and the more I learn about how immunisation saves lives, the less I understand anti-vaxxers. World Immunisation Week has been a timely reminder to make sure we're all jabbed up and I want you all to make sure you're all up to date as well. My four year old is going to be less than impressed with me next week because she is the only one due for any jabs. And she really hates jabs. And next Friday, when I hold her as she's jabbed, she's going to hate me too. Such is a first world life baby girl. Privilege is not always painless.